Lemon juice is fully loaded with skin friendly properties. Lemon juice is well known for removing wrinkles, blackheads and dead skin cells. It is loaded with skin bleaching properties that helps lighten the skin tone. Adequate intake of lemon juice removes the toxins out of the body and this is reflected by a healthy glowing skin. You can use lemon juice in different ways. 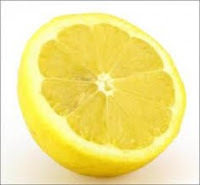 Here are some tips on how to whiten skin with lemon juice. Make a mixture of lemon juice and water (equal quantity). Put it in to a spray bottle, spray it on your skin whenever you want. Leave it on for few minutes than rinse off with water. You can also apply its juice by rubbing a lemon rind over your skin. You can also use it as a face wash. Apply lemon juice on your, leave it on for about 10 to 30 minutes. Rinse off with water. Wash your face with lemon juice every night. Dilute the lemon juice with an equal amount of water, and always wash it off afterwards. Avoid going outside in the sun while there is lemon juice on your skin. Lemon juice = 2 oz. Light rum = 1 oz. Mix all ingredients and apply it whenever you have some free time. Make a mixture by mixing 1 teaspoon lemon juice with 1 teaspoon each of tomato juice, cucumber juice, and sandal wood paste. Apply it on your face and wait until it dries. Rinse of with water and use a good quality moisturizer.